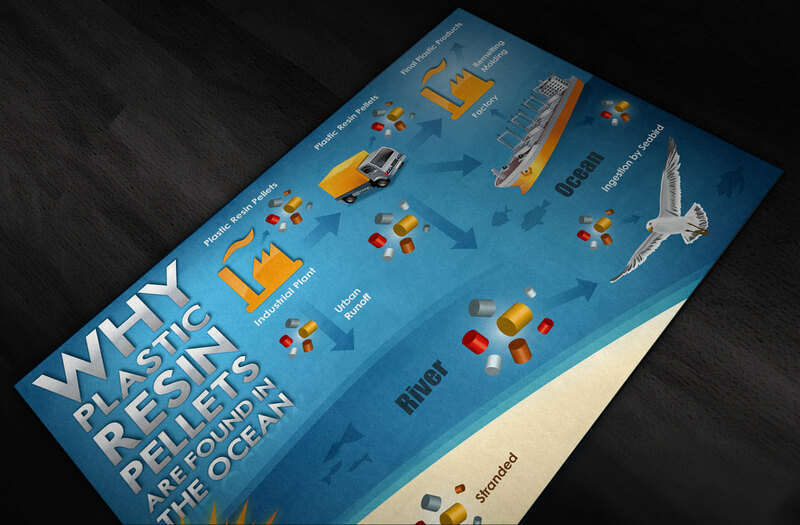 Quantum Design Lab partnered with Dominic Solazzo, to create an environmental awareness poster that is as visually appealing as it is informative. This piece is called, “Why Plastic Resin Pellets are Found in the Ocean.” The goal was to reach the masses about an ever growing issue killing our sea life and damaging the environment. Plastic resin pellets are small granules generally with shape of a cylinder or a disk with a diameter of a few millimeters. These plastic particles are industrial raw material transported to manufacturing sites where “user plastics” are made by re-melting and molding into the final products. Resin pellets can be unintentionally released to the environment, both during manufacturing and transport. The released resin pellets are carried by surface run-off, stream, and river waters eventually to the ocean. 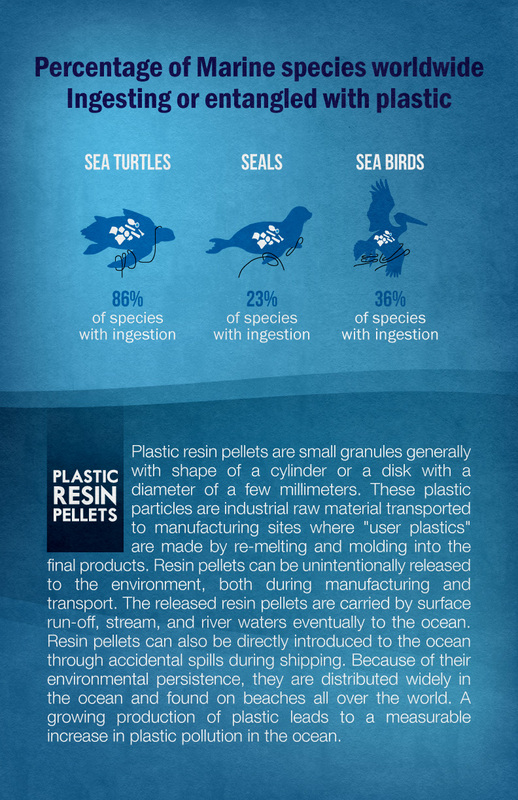 Resin pellets can also be directly introduced to the ocean through accidental spills during shipping. Because of their environmental persistence, they are distributed widely in the ocean and found on beaches all over the world. 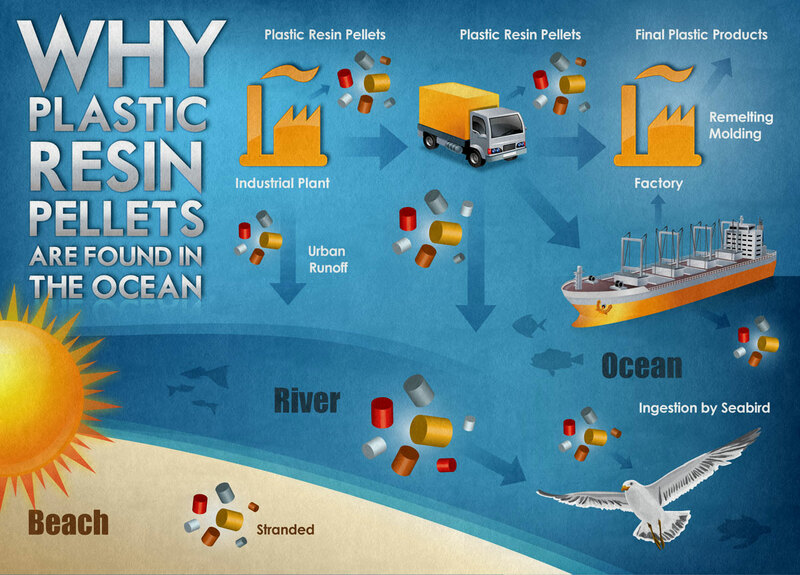 A growing production of plastic leads to a measurable increase in plastic pollution in the ocean. Dominic Solazzo is an active volunteer with a number of coastal conservation groups. He is a Cook College graduate with a degree in Natural Resource Management, and union tradesman. Dominick not only has the visibility in the community, but he’s also trained and skilled in the technical, physical, and environmental aspects of community maintenance and natural resource management.